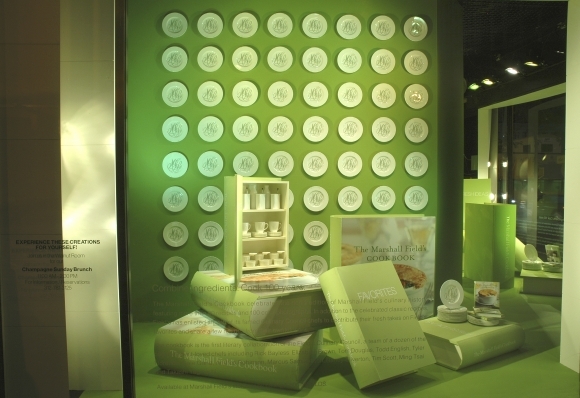 Recipes for the famous Chicken Pot Pie, Frango Ice Cream pie and more. . .these windows celebrated the Cookbook launch with monogrammed tableware and oversized books/bookcases.